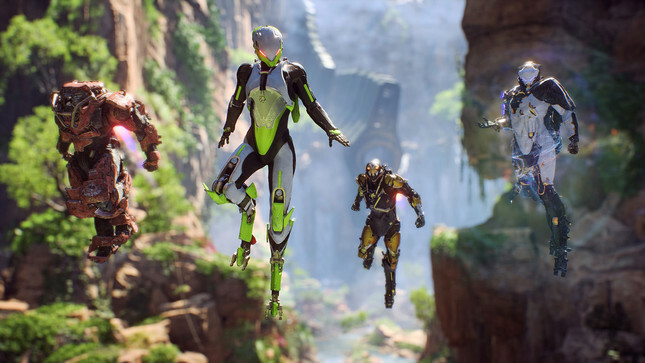 "We don't see the value in tearing down one another"
Anthem developer BioWare has made a statement regarding the development of its latest title and the work culture within the studio. "We put a great emphasis on our workplace culture in our studios," the statement reads. "The health and well-being of our team members is something we take very seriously. The response comes after a report from Kotaku that details an epidemic of depression and anxiety within the studio. "We hear the criticisms that were raised by the people in the piece today, and we’re looking at that alongside feedback that we receive in our internal team surveys," BioWare continued. Kotaku's report, written by Jason Schreier, included accounts from nineteen current and past employees of BioWare, who described an environment of unfocused leadership and overall vision. Schreier also describes a "studio in crisis," noting that "many say they or their co-workers had to take “stress leave”—a doctor-mandated period of weeks or even months worth of vacation for their mental health." "One former BioWare developer told me they would frequently find a private room in the office, shut the door, and just cry. “People were so angry and sad all the time,” they said. " The full report can be read over at Kotaku.